Here at Haws we have conducted over 800 site surveys since the program has launched and data gathered from 800+ sites and over 11,000 units inspected, we have found that only 12% of units are ANSI Z358.1 compliant. The data also shows that 78% of units are non-compliant due to performance-related issues, meaning that the units are not working properly and are not able to deliver proper first aid. 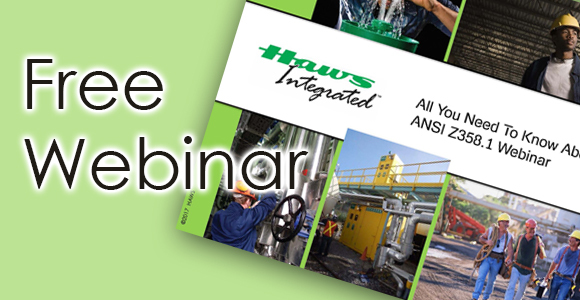 During this webinar we will have subject matter expert discuss the significant requirements of the ANSI Z358.1-2014 and how to ensure your equipment is compliant. Along with a live Q&A session, we will take you through a step-by-step tutorial on how to test your equipment for installation and performance compliance. This webinar is free and CEUs will be offered to members of ASPE, ABIH and IFMA.